As one searches back through the historical accounts of property ownership one begins to see an opaque picture of decades passed. 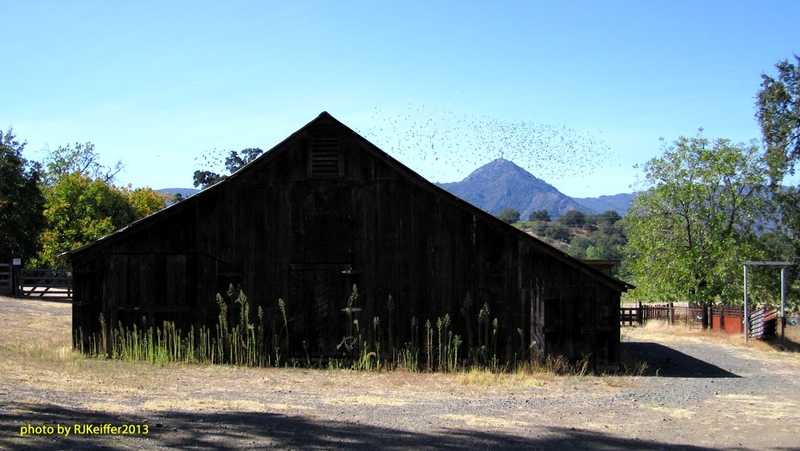 The UC Hopland Research & Extension Center has a rich history of prior land ownerships and land managements. It appears as though almost any pocket of flat, deep soil, in close-by proximity to water (either well water or spring-fed water) had some individual or family trying to make a living at some time. The Niderost Family owned some of the lower elevations of what is now HREC. This barn, which we refer to as "The Niderost Barn" was supposedly built in the late 1800's. However, it was not built in the location where it is now. Originally it was about 400 yards up the hill at a higher elevation, near a natural spring. At some point in time the ground shifted, maybe due to earthquake action, and closed the fissure that fed water to the surface spring. Soon after that the Niderost family dis-assembled the barn and rebuilt it where it stands now. In the 1990s the barn went through another transformation. A concrete perimeter foundation was installed, the internal framing of the barn was reinforced, and the siding was carefully removed and then laminated back into place atop a plywood sheathing. This barn should be solid and sturdy for the next century. Oh... look for the flock of European Starlings in the background ... a bird that was NOT in North America when the barn was built. Is it still in place?